To cue my inner Gwen Stefani: I’m just a girl, just an introverted girl, in an extroverted world. Like most introverts, I have extroverted friends, and I love them. I appreciate their energy and enthusiasm — most of the time — and the way they drag me out of my shell when I need a nudge. But, there’s no denying we’re different creatures with different communication styles and needs. Although there’s more awareness of introversion than there used to be, sometimes I still feel like the odd one out in a world seemingly designed for extroverts. Here are four things I wish extroverts understood about introverts like me. 1. We just met. I don’t need your life story. It’s true, introverts typically are good listeners, and most of us really do listen with intention. We’re not just letting you talk while we wait for our next chance to speak. Listening is our way of gathering information and deciding what type of connection, if any, we feel with you. It helps us relate and find ways to support you. Because most introverts find small talk uncomfortable or pointless, we’d rather get to the real stuff as soon as possible. This makes us easy targets for eager extroverts looking for someone to talk at. Many introverts are highly conscientious, which means we often strive to be agreeable, pleasant, and polite, regardless of how we’re feeling on the inside. When someone approaches us and starts a conversation, even if we’d prefer to be alone, it can be hard for us to be direct. I often give my undivided attention even when I’m not feeling it. I ask questions, make appropriate facial responses, and remain mostly silent as they talk — and talk and talk. In these moments, I’m struck by how different communication styles can be between introverts and extroverts. Many introverts are keenly aware when they are talking about themselves and try to shift the subject back to the other person to avoid oversharing. On the other hand, many extroverts I’ve met have no problem dominating the conversation. Sometimes, when they throw out a question, it feels like they don’t really want or need an answer — they just want to segue to their next point or anecdote. I don’t think it’s usually conscious or meditated on their part, but when it’s difficult to get a word in, most introverts will just give up. We don’t have the energy or need to speak over someone. Hence we appear as if we have nothing to contribute, when really we just don’t want to fight for the pedestal. 2. Introverts need support, too. But it’s harder for us to ask. Introverts are prone to feeling unheard in a society that values bold expression. We usually try our best to show people we care about what they have to say, because we know how important it is to feel heard. 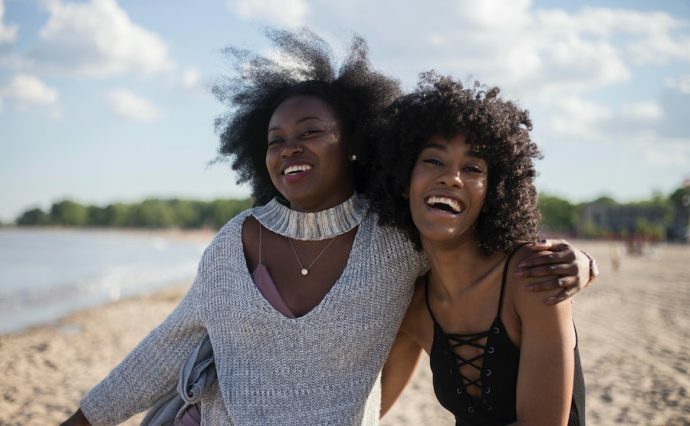 Part of the reason we fit so easily into the “supportive friend” role is that listening often comes more naturally than expressing ourselves verbally. So, we listen, often for as long as it takes our friends to say what they need to say. We aren’t checking our phones — in fact, in the middle of a serious conversation, we usually forget to even check the time — and we tend to fully absorb ourselves in the emotions and stress of whoever we’re speaking with. We’re present. Afterwards, we may go home and think about it even more, wondering what else we could have said to help. Unfortunately, we don’t always feel this focus returned when we do, randomly and awkwardly, attempt to open up. To be fair to our extroverted friends, the reason is twofold. We’re not always forthcoming in talking about what’s bothering us, and we wouldn’t expect, or want, to be continually asked what’s wrong. Usually we need time to process before we are ready to talk about it, anyway. However, when we are ready for a sounding board, the same attention we devoted previously often seems a struggle for extroverts to return. Again, I don’t think it’s purposeful neglect. However, I typically notice more fidgeting and phone checking, as well as a sense of hurried energy to move on to whatever is next. Of course, this is a generalization. I have some very supportive extroverts in my life. But, when I need to talk something over, I usually find myself seeking a fellow introvert to confide in. 3. We like being social, but we need time to mentally prepare first. I don’t consider myself a planner. I prefer to leave things open-ended and free. However, when it comes to social engagements, I like to have an idea of what I’m getting into. This helps me prepare mentally and get in the right headspace. If I know what type of social situation I’m entering, I can gather the appropriate amount of people-focused energy beforehand so I’m ready to fully engage. This includes being outgoing, meeting strangers, and making small talk. When plans change last minute, and a small group thing suddenly becomes a big group thing, it’s hard for me to immediately adjust (much harder than it is for extroverts or ambiverts). I might still go, but I’ll likely feel a little uncomfortable and disappointed I won’t get to connect in the way I had originally planned. I know this completely contradicts the more-the-merrier extrovert mentality, but it’s all about energy and expectation. When I make plans with you, particularly one-on-one plans, it’s probably because I value time with you, not you and five of your other friends. 4. We prefer to read a room, not jump right in. In a stimulating environment with lots of people and noise, we may appear shy or disinterested. But that’s far from the truth. Typically, our minds are working quickly to assess the situation and observe all the dynamics. We’re evaluating and seeing where we fit in. Do we want to stay near someone familiar? Do we want to wander into the fray on our own? Or do we want to just go home? If so, what’s our escape plan? These are important questions for introverts to consider within the first few minutes of arriving anywhere. While an extrovert might get an immediate rush from the atmosphere, it takes us more time to decide if it’s where we want to be, if we feel comfortable enough to stay, and how to make our time there the most meaningful. If we’re being quiet and not talking to anyone, it doesn’t necessarily mean something is wrong. It might just mean we’re observing the scene for clues. Dearest extroverts, we know not everything we do makes sense to you, but we’d love if you’d try to understand our perspective. Signed with quietly expressed love, introverts everywhere. Nomadic expat, freelance writer and teacher, currently based in Belgium. Follower of wanderlust, whims and an incessant inner voice. Daydreaming introvert, with a particular fondness for nature and one-to-one conversation. For more musings, head over to her website.